Drug discovery is the process by which new candidate medications are discovered. A term used to define the process of bringing a new drug to the market once a lead compound has been identified through the process of drug discovery is called as Drug development. It includes pre-clinical research on microorganisms or animals and clinical trials on humans and may include the step of obtaining regulatory approval to market the drug. 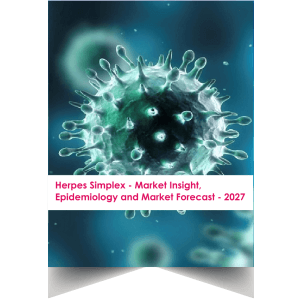 The report covers 7 major Markets (United States, EU5 & Japan), and market size for HSV infections was found to be USD 2.2 Billion in 2016. The drug discovery process has 3 phases, each requiring a dedication of time and resources; they are basic science, drug discovery and drug development. At the basic science level, scientists discover information about individual chemicals and biological processes. As the drug discovery process proceeds, scientists develop specific chemicals and study their effects on identified disease targets. This requires sophisticated chemistry and testing on animal models of disease. Finally, when a chemical is found to impact a specific target, human testing is conducted through chemical trials to show the safety and efficacy of the chemical. Drug discovery occurs when a new compound is developed that addresses a specific disease target. The global drug discovery and development industry involves the discovery and design of drugs through laboratory testing to treat disease and infection. 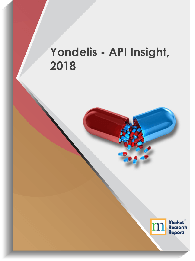 There will be an exponential growth in the global drug discovery and development market due to increasing demand for pharmaceuticals to treat chronic diseases such as diabetes, cardiovascular disease, mental disorders and cancer. 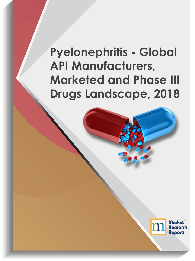 As per the reports given by BCC Research, the global market for drug discovery technologies and products reached $38.4 billion in 2011 and is expected to expand to $41.4 billion in 2012 and to $79.0 billion in 2017, at a compound annual growth rate of 13.8% between 2012 and 2017. According to GBI Research, the total drug discovery and development market size in the top seven Asian countries which includes China, India, Russia, Japan, Singapore, Taiwan and South Korea, was estimated at $5.3 billion in 2011 and is forecast to reach $17.3 billion by the end of 2018. Some of the major drug discovery industry players are Abbott Laboratories, Albany Molecular Research, Inc., ArQule, Inc., Array BioPharma, Novartis, Procter & Gamble, and GlaxoSmithKline etc.